Last updated 15 December 2017 . By Olivia Cheves. Dela gets its name from the Swedish word meaning 'to share', and it's a concept upon which this cafe and restaurant is built. 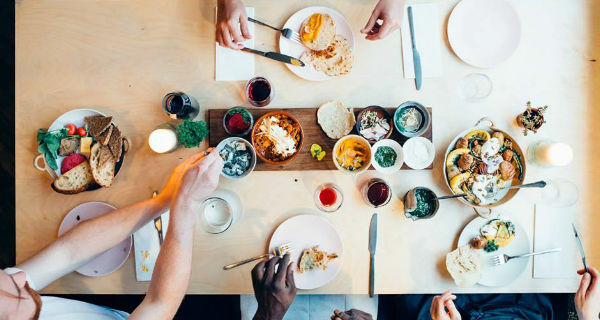 The menu specialises in sharing platters priced for two, like the Scandinavian fish board, or Danish sourdough pancake selection. Despite having ideas from the far north, its produce is sourced from small local Bristol businesses and is always seasonal. Starting life as a series of pop-up suppers, Dela has found a permanent home in the Mivart Studios buildings. Serving as a canteen for the artists who rent studio space in the complex and other members of the community, Dela puts local people and local produce at its heart. Sourcing its food from small Bristol businesses - like Redfield's The Bristol Loaf - and its beers from local breweries such as Arbor and Good Chemistry.